A zo mbie idea is one that refuses to die, regardless of repeated efforts to kill it off. 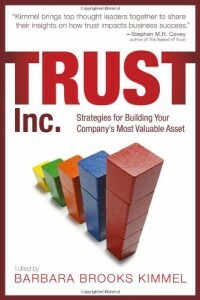 The idea that neuroscience explains trust and leadership in business is one such zombie. Authors like David Rock and Paul Zak have popularized the idea that we can “understand” themes like trust and leadership better through the wonders of neuroscience, e.g. through the “trust molecule” oxytocin and its effect on the brain. I’ve personally tried to kill off this zombie – way back in 2007, again in 2012, again in 2013. But I’m just a business author and blogger. Ed Hong wrote a withering piece in The Atlantic on Paul Zak. But The Atlantic can’t compare with night-time talk television: you’ve got to watch late night host John Oliver’s vicious take-down of Zak (skip to minute 10). And yet – the zombie is back again. This time, in the Harvard Business Review. In The Neuroscience of Trust Paul Zak states the case for Oxytocin as the causal agent of trust, and identifies eight “strategies” that derive from it. Let’s be clear: this article is 95% nonsense, and an embarrassment to HBR. Yet understanding just why it is nonsense is very instructive, and not initially obvious – even to John Oliver. The problem has little to do with neuroscience itself – but everything to do with the logic of explanation. Zak and his ilk are creating philosophical zombies. The only successful stake through the heart (to mix the horror genre’s metaphors) will be philosophical, not scientific. Here we go. For many years, the science of leadership was considered a “soft” science. While many experts in management and business understood the qualities that made a good leader and knew the activities that could help leaders become even stronger, they didn’t immediately recognize the important link between the “hard” science of neurobiology and the “soft” science of leadership. Zak says oxytocin “causes” trust. (Always be wary of claims of causality). His own lack of confidence in this conclusion is evidenced by the fact that not one of his eight “strategies” includes dosages of oxytocin in the workplace. The truth is: It makes as much sense to say Oxytocin “causes” trust as it does to say molecules cause car crashes. And neuroscience doesn’t “explain” leadership or management any better than do stories, strategies or similes. Zak et al make two important errors of thinking. The language problem. Mr. Zak himself describes his research as aimed at answering “the most basic question: Why do two people trust each other in the first place?” The answer, he claims, is to be found in the biochemistry of the brain – in particular the action of oxytocin. He claims that the best explanation – the best answer to a “why” question – must come from a particular “language” of human interaction; in this case, the language of biochemistry. On simple reflection, this is far from evident. Why should the language of biochemistry be better at “explaining” trust than the language of management? Or poetry? Or analogy by stories? Or standup comedy? In fact, the claim that biochemistry is the best “language” of explanation is no more sensible than the claim that French is better than German. Any phenomenon, including human emotions, can be explained in an infinite number of ways. If I raise my hand, am I a) contracting my upper arm muscles, b) initiating a handshake, or c) offering a social gesture? The answer is all the above, and many more. Which descriptor feels better is not a function of the underlying phenomena, but of the realm of reality I’m trying to describe. The test of a valid explanation is not to be found in the language used, but in the usefulness of that language for the case at hand. If the case at hand is pharmacological, and the desire is to create new drugs, then biochemistry is indeed the right language to use. Neuroscience indeed has its place, and this is one example. But if the case at hand is to understand and affect managerial behavior, then the use of chemical language adds virtually nothing. (See below for why Zak’s eight ’strategies’ fit this description). The reductionist problem. The reductionist problem in philosophy is the belief that the continued dissection of problems into ever-finer constituent pieces will always lead to ever-more profound understanding and explanation. If Joe appears angry at me, I might explain it by breaking it down into our past history, what happened to Joe this morning, and what I just said to him a moment ago. This might lead to a most constructive response – an empathetic inquiry, aimed at calming Joe and keeping me from a punch in the nose. So far, so good. But breaking it down further – describing Joe’s blood type, the tension in his musculature, his level of serotonin, the grammatical structure of what I said to him – is not likely to either help Joe or prevent my face-punch. Yet reductionist thinking insists this is necessary to fully ‘explain’ what is going on, or to identify the ‘cause’ of the phenomenon in question. Just as in the language claim, the real-world usefulness of a particular explanation is not a function of the depth of description used, but of the phenomenon requiring explanation. To explain most management behavior, you simply don’t need to get to the level of biochemistry. You’re better off with commonsense language that describes human interactions. The Commonsense Approach to Trust: Reciprocity. Mr Zak himself – in passing – quite correctly points out the fundamentally reciprocal nature of trust. One party takes a risk, and the other party then returns that trust – or not. This is indeed a critical observation about the dynamics of trust – it is a reciprocating relationship. But it’s a commonsensical observation, almost definitional – it is something we know by life, not something we need neuroscience to prove for us. 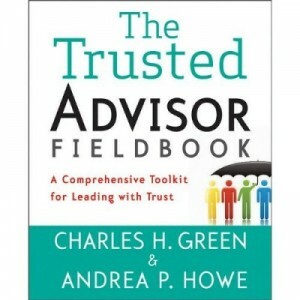 This fundamental truth was famously stated by Henry L. Stimson: “The only way to make a man trustworthy is to trust him; and the surest way to make him untrustworthy is to distrust him.” Ernest Hemingway said the same thing: “The best way to find out if you can trust somebody is to trust them.” It was well known to Abraham Lincoln (“The people when rightly and fully trusted will return the trust,”) and to Warren Bennis (“Trust is the lubricant that makes it possible for organizations to work.”) Mr Zak himself cites Adam Smith as having said much the same. Neither Stimson, Hemingway, Lincoln or Bennis required neuroscience to validly know whereof they spoke. Yet they clearly understood the fundamental nature of reciprocity to the functioning of trust. Zak derived these strategies from experiments and surveys that analyze the production of oxytocin in various situations, and then ‘tested’ the impact of those trust-inducing behaviors on business performance. One doesn’t need to question the validity of either his experiments or his ‘tests’ to ask a much simpler question: what does this language add to our understanding of trust in business, compared to other languages? show vulnerability, to which people reciprocate by sharing their own vulnerabilities, creating more trust. That is: seven of Zak’s eight strategies (all but “induce challenge stress”) follow self-evidently from a simple pragmatic definition of trust as a human process of reciprocation. Indeed, we can add a few that he might have missed, e.g. thanking people for favors done, or recognizing emotional states in others. In other words: Zak’s “strategies” are commonsensical, and derived from basic principles of human interactions that even he recognizes. Neuroscience adds nothing to their understanding. Let me be clear. I’m not challenging neuroscience itself. In certain spheres (like medicine or pharmacology), understanding the role of oxytocin and other chemicals in our brain and on our behavior is important, even vital. Biochemistry is the “right” language for such endeavors. But for other fields – in particular, business – the language of biochemistry is like knitting with mittens on. It is worse than useless because it promises much and delivers little. Other languages are better suited and more productive to understanding the challenges of organizing, leading and managing groups of human beings. And if you didn’t do it the first time, go back and watch John Oliver’s take on the same issue (he gets down to business at about minute 10:00). Can we get rid of this zombie idea yet?